Maybe you're a cop, or have one in the family. 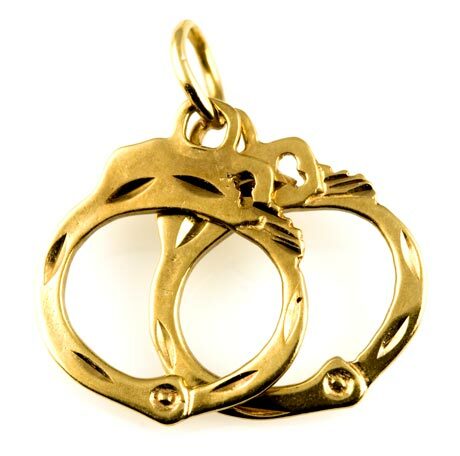 These 14K gold handcuffs make a unique addition to any bracelet regardless of which side of the law you're on. I also have another pair of cuffs that open. Click here. Marked 14K. Each cuff is 14.1mm (0.56in.) wide. Weight 1.5 grams.